How to make a garden, grow vegetables, and Garden The Easy Way! Hello! and welcome back here today, on Garden The Easy Way with Ken and Marilou. Today we would like to talk about OKRA, so many people love their OKRA, and there are different ways to prefer it for the dinner table. The most popular way is Fried Okra and it is so delicious, but you can boiled by itself, and also you can add okra to stir fry. 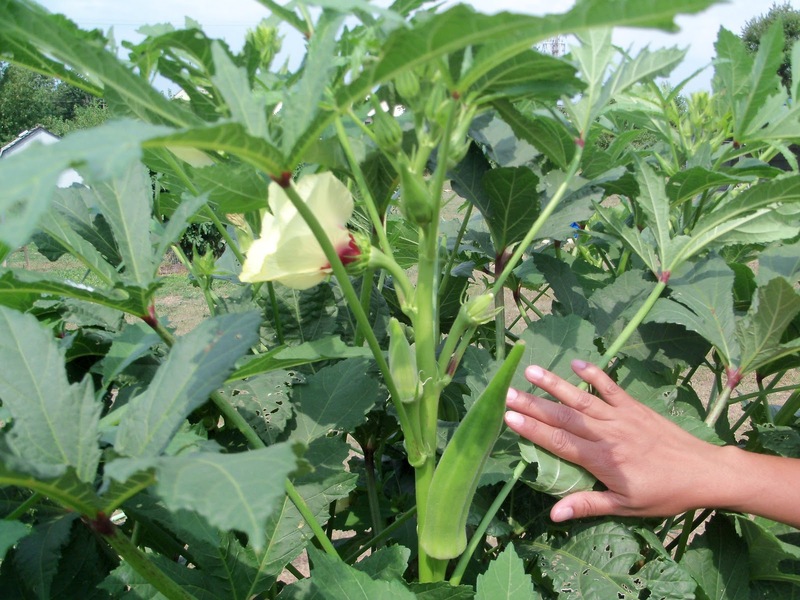 Okra Plant are very easy to grow but there are few things we will share with you. 1. Lot of different seed company out there that sell Okra Plant Seed, but the one we use and recommend is (Ferry-Morse) has been here since 1856. 2. Garden Soil is very important. If your garden soil is dark and rich in color, you should be fine, but if your garden need a little help just add garden soil mix in it and it will be fine. Always mix it up well when adding it to your garden, we use and recommend Miracle-Gro Garden Soil Mix, it works great. 3. Plant in full sun: Sow 2 seeds every 18 inches, after all danger of frost and ground is warm. 4. Planting depth: 3/4 inch under the soil. 5. Spacing: Row plant 3 ft./18 in. 7. Vegetable size: Best at 3 to 4 inches. 9. Suggestions: Pick pods when they become 3 to 4 inches long. If they are allowed to become mature, plants will stop producing. Well that is it for today, we hope we have been helpful. Hope to talk here again tomorrow on Garden The Easy Way. Until then Good Gardening Always Ken & Marilou.